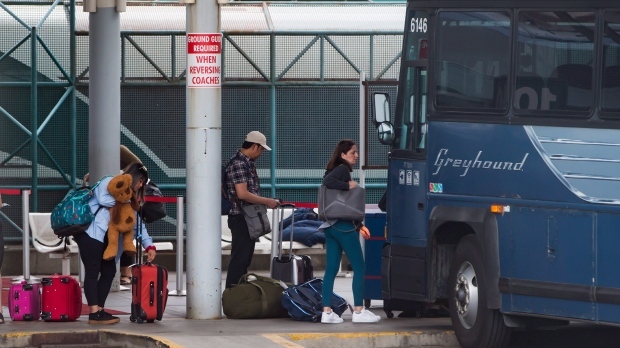 VICTORIA -- British Columbia says it will fast track applications from operators who want to serve parts of the province that will be left without intercity bus service after Greyhound's exit from Western Canada at the end of October. The Passenger Transportation Board says Greyhound's departure will leave many areas without service and cut off access to safe transportation to take people to work or school. The board says it wants to encourage other operators to fill the gap and it will move intercity bus applications to the front of the line, giving them priority status at each step of the process. It says in a news release that information about intercity bus application requirements is posted on the board's website. 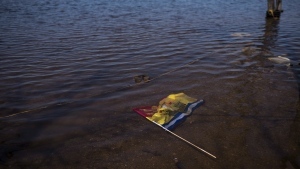 The board also adds that private businesses that voluntarily withdraw services in the province must provide notice to the registrar of passenger transportation in the Ministry of Transportation and Infrastructure, and return plates and identifiers. Transportation Minister Claire Trevena has said she was taken by surprise over Greyhound's announcement and nothing is off the table when it comes to restoring service, including subsidized bus routes. Greyhound Canada to end routes in Prairies, B.C.